Crossroads > Our Physicians > Cheryl Leonardi, M.D. 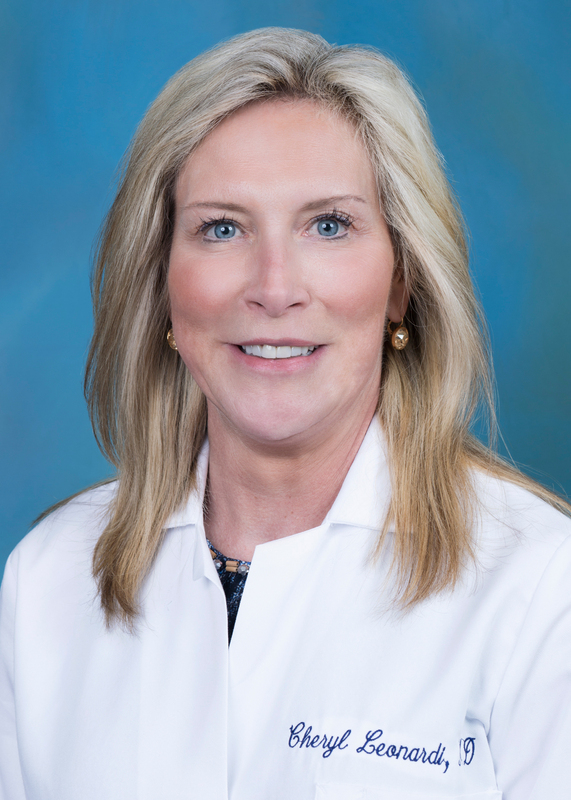 Our Physician - Cheryl Leonardi, M.D. Dermatology with training in Vasculite™ Laser and providing medical preventive maintenance for the largest organ of the body-Your SKIN. Dr. Leonardi was married to her husband Brian in 2000, and lives happily in Ashton, Maryland. In this age of specialists, information overload, and continuous health insurance changes it overwhelming to know where to start and whom you can trust to make effective health care recommendations for you. My goal is really your goal, maximizing all our resources for your optimal physical and mental health! In achieving this I put a strong emphasis on preventive care, early detection, and health maintenance. As your primary care physician, I partner with you to provide individualized care and guidance so that you make the best-informed decisions for YOU. What is truly rewarding for me is working with a diverse combination of Men, Women, Young Adults, and Families optimizing a health maintenance program that meets the unique circumstances of each individual.